Cart66 is a great shopping cart plugin for WordPress which works great for smaller and medium websites. 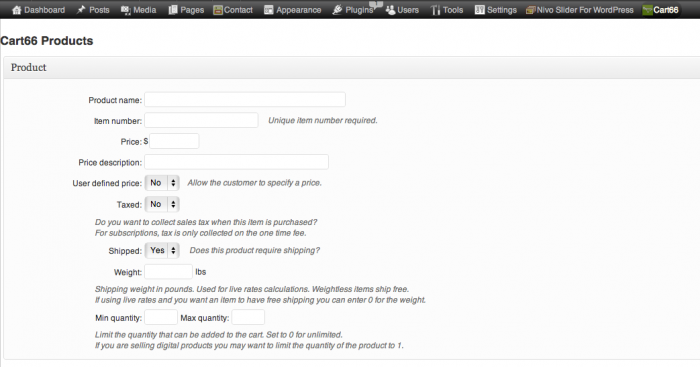 Another popular plugin is Woocommerce which is worth trying. My favorite remains Cart66 since is not buggy and has great support in case something doesn’t work properly. 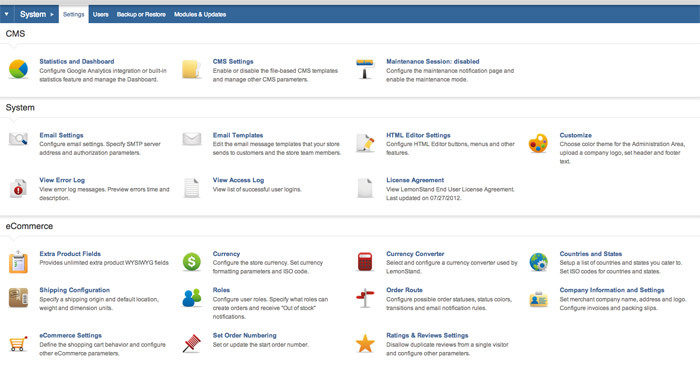 It’s free if you don’t need premium features such as: merchant accounts, recurring payments, live shipping rates etc. The payments will be processed with PayPal by default. I’s easy to implement in the existing design which saves of development time and obviously it’s more affordable. You can easily change the general look and feel with premium WordPress themes or with a custom designed one which still doesn’t take as much time as a Lemonstand website. The simplicity of using a WordPress base eCommerce solution is also it’s biggest enemy and Cart66 along with other WordPress plugins are not flexible and easily expandable. If your store grows and you want to add new functionalities you may get stuck so you may need to either switch platform or find expensive work-arounds. It can also be limited from the design perspective where you don’t have access to HTML structure. Editing the plugin files, an alternative, would be a bad practice since the updates will override the changes. Since it’s built on the WordPress platform it can be insecure, as many hackers target WordPress websites. 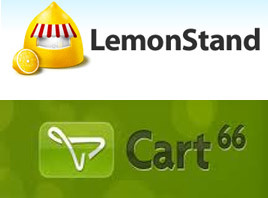 Lemonstand Shopping Cart is a dedicated powerful and flexible ecommerce platform which makes it a great solution for medium to large websites. If you’re serious about selling products online this is the way to go. Compared with the WordPress eCommerce plugins, the back-end interface is beautiful and it’s easy to get around, despite the many number of options it has. It features detailed sale reports, powerful discount options, user management and many other features that a WordPress plugin doesn’t get. 100% customizable which gives designers plenty of creative room. One click upgrades which don’t break the custom changes. Upgrading is also free and can be done without any technical knowledge. Lemonstand supports many add-ons and is very extensible where developers can create custom modules to achieve some very custom functionality. Building a custom Lemonstand website takes a lot of time especially when you need to design and code every aspect of the website, which means a higher budget. The merchant needs a slightly longer learning curve for getting used with all the features but there is a great documentation that helps. While ultimately all eCommerce platforms enable sales, reviewing your business goals will help you select the best solution with the best return of investment.